Team Mizuno Northeast is proud to announce that thus far, 8 members of the 2017 class (PJ Barry, Luke Benoit, Tyler Flanigan, Brandon Jenkins, Jamil Vanheyningen, Jermaine Vanheyningen, Jack Wallace, and Chase Williamson) have all made their college baseball commitments. In 2016, these players were coached by Frank Cooney, Team Mizuno Northeast’s National Director of Recruiting & Scouting. PJ Barry, a 6’ OF from SPM (Worcester, MA) has committed to attend St. Leo University in St. Leo, Florida. 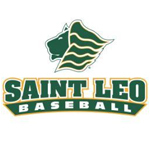 St. Leo, a division 2 powerhouse, competes in the Sunshine State Conference along with perennial national championship contenders University of Tampa and Rollins College. PJ had an impressive summer, hitting .346 to go along with 21 stolen bases, while also earning all-tournament team selections at both the Perfect Game WWBA and BCS Finals. 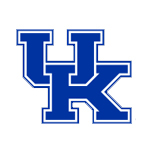 Benoit, a 6’4” OF from Lawrence Academy/IMG Academy, has committed to attend the University of Kentucky. UK competes in the SEC, arguably the best division 1 baseball conference in the country. Luke finished the summer with a .389 average, leading the team with 26 stolen bases, while making the Perfect Game BCS Finals all-tournament team. Luke finished the summer ranked as one of the top 500 high school baseball players in the country (#441). Tyler Flanigan, a 6’2” RHP from East Catholic High School (Hartford, CT) has committed to attend the University of Tennessee Martin. 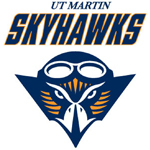 UTM competes in the Ohio Valley Conference at the division 1 level. Tyler finished the summer ranked as one of the top 1000 high school baseball players in the country, ending with a record of 4-1 and a .87 ERA over 26 IP. Brandon Jenkins, a 6’2” RHP from Glendora, NJ has committed to attend Campbell University in Buies Creek, North Carolina. 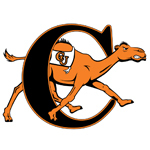 The Fighting Camels compete in the NCAA division 1 Big South Conference, which just saw member school Coastal Carolina win a D1 national championship. Campbell won the Big South Championship in 2014 advancing to an NCAA Regional Appearance. Jenkins posted a miniscule .43 era this summer while striking out 19 batters per 9 innings pitched. Brandon finished the summer having made the Perfect Game WWBA and BCS Finals all-tournament teams, and he has been ranked as one of the top 300 high school baseball players in the country (#294). Jamil Vanheyningen, a 6’6” RHP from defending state champion, Seton Hall Prep (West Orange, NJ), has committed to attend Campbell University in Buies Creek, North Carolina. Jamil will join his summer teammate Brandon Jenkins at Campbell University which competes in the NCAA division 1 Big South Conference. Van Heyningen posted a 1.34 era while earning all-tournament honors at both the Perfect Game WWBA and BCS Finals, finishing the summer ranked as one of the top 500 high school baseball players in the country (#435). Jermaine Vanheyningen, a 6’6” RHP from Seton Hall Prep (West Orange, NJ) will join his brother Jamil, and teammate Brandon Jenkins in one of the top recruiting classes in the country at Campbell University in Buies Creek, North Carolina. Jermaine wrapped up the summer with a 2.13 era, earning all-tournament honors at the Perfect Game BCS Finals and finishing the summer ranked as one of the top 500 high school baseball players in the country. 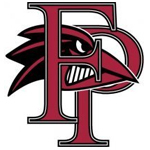 Jack Wallace, a 6’ RHP from Winthrop, MA has committed to attend Franklin Pierce University in Ringe, NH. Franklin Pierce competes in the NCAA division 2 Northeast-10 conference, and finished last season as the number 3 ranked division 2 team in the country after having made the NCAA D2 World Series in Cary, NC. Wallace ended the summer with a .63 era while leading the team with 6 wins. Jack was named to the Perfect Game WWBA and BCS Finals all-tournament teams and was ranked as one of the top 1000 high school baseball players in the country. 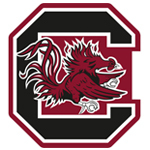 Chase Williamson, a 5’11” LHP from Lexington, SC has committed to attend the University of South Carolina. USC, the 2010 and 2011 NCAA D1 national champions, compete in the SEC. The Gamecocks finished last season ranked #9 in the country. Chase wrapped up the summer with a 3-0 record and a .97 era, while striking out over 15 batters per nine innings. Williamson earned all-tournament honors at the Perfect Game WWBA and BCS Finals, winding up ranked as one of the top 500 high school baseball players in the country. We wish these 8 boys all the best as they continue their athletic and academic careers at the next level, and we eagerly anticipate the college commitments of more 2017 class members in the coming weeks!